This program uses various subjects which permit the child to develop his skills in a complete and balanced manner: French, counting, penmanship, notions of space, drawing, singing, crafts, sports, etc., and not to be forgotten is the catechsim taught weekly by the chaplain. 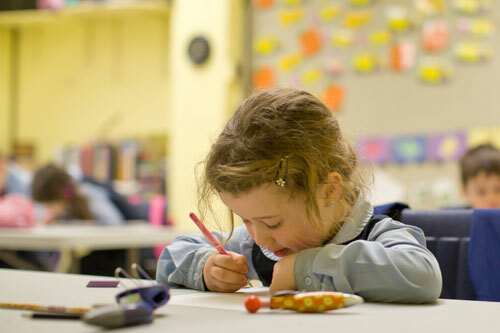 Normally, the majority of our students begin their education at five years of age, but certain ones may be accepted at four years. In either case, the pupils can attend the kindergarten class on a full-time basis or part-time basis (from 3 to 5 days a week) according to the choice of the parents. 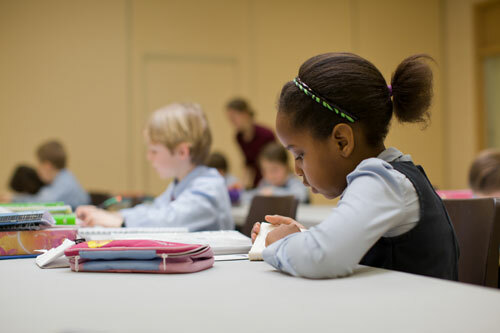 The primary grades have the goal of helping the students from grade 1 to grade 6 acquire the solid foundation which they will need to continue further in their studies. mastering grammar and spelling by the regular analysis of rules and words. (There are regular dictated quizes which allow the application and the evaluation of the notions acquired). 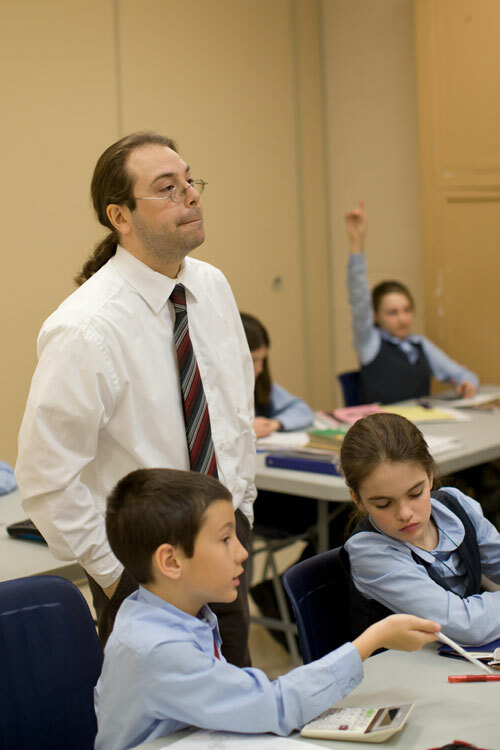 The entirety of Canadian history and the history of Quebec is taught in the primary school. The students will acquire a spoken and written fluency which will permit them to be competent in their second language. Taught by the chaplain each week, the catechism gives the students the necessary basis of their Catholic Faith and preparation for various sacrements (e.g. First Communion, Confirmation). Lessons in science which introduce the primary scientific principals by examples and concrete demonstrations. Singing which teaches the rudiments of music, always exercising the student’s memory. Sport, in order to develop and maintain physical aptitude. The secondary school includes those classes from grade 7 to grade 11. A further developpment of litterature by reading and composing texts. 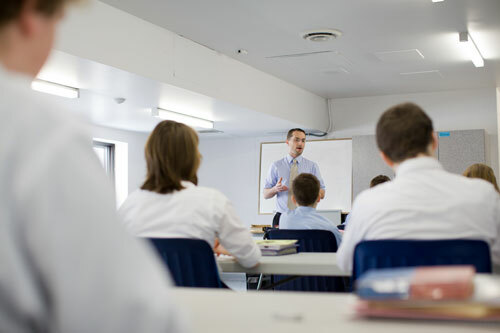 Rhetoric which gives the students the opportunity to analyze a discourse and to express themselves in a clear manner, with a technique for organizing their thoughts. This course is developped and enlarged by the history of France and of civilization in general. The developpment of acquired principals from the primary school curriculum. Very soon, a course in Latin will be added to the already rich and varied curriculum.